This book describes various configuration settings and tasks that make an openCRX administrator's life easier. openCRX is the leading enterprise-class open source CRM suite. openCRX is based on openMDX, an open source MDA framework based on the OMG's model driven architecture (MDA) standards. This guarantees total openness, standards compliance, a state-of-the-art component-based architecture, and virtually unlimited scalability. The intended audience are openCRX administrators. This book describes some of the settings and configurations an openCRX administrator can use to control the behavior of openCRX. Extremely or excessively careful about details. You should carefully read information marked with “Important”. Ignoring such information is typically not a good idea. This guide assumes that you have access to a properly installed instance of openCRX 2.2 (for installation instructions, please refer to the guides available from http://www.opencrx.org/documents.htm). You can either follow the openCRX Server Installer documentation (http://www.opencrx.org/server.htm) or you can do a manual installation of openCRX following the QuickStart guide. In this chapter we will present a high-level overview of openCRX security and discuss a few important issues. We do not recommend learning about security with mission critical data. Backup your data before you make changes if you are not certain what the consequences are! The risk of you being locked out is real and the resources required to fix broken security settings can not be overestimated! The default settings should work for virtually all users; the probability of getting yourself into trouble by changing default settings should not be underestimated. Read and understand at least the basics of openCRX security BEFORE you make any changes. Each “real user” is represented by a Subject (e.g. “Guest”). Subjects are managed by the openCRX Root administrator (admin-Root). Each subject has an Application Login Principal (also called login id). Application login principals are managed by the openCRX Root administrator (admin-Root). Each application login principal is assigned to a subject (e.g. principal “guest” is assigned to subject “Guest”) and allows a “real user” to login. 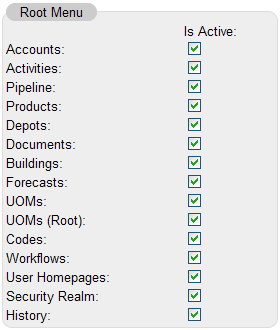 A “real user” can have one or more additional segment login principals. The Segment Login Principal has typically the same name as the application login principal (e.g. “guest”) and grants a “real user” login access to a segment. Segment login principals are managed by the openCRX segment administrators (e.g. admin-Standard for the Segment Standard). Each “real user” who has access to a segment (i.e. has a segment login principal) has (in addition to the segment login principal) a segment user principal, e.g. “guest.User”. The Segment User Principal is required to assign objects to an Owning User. Each “real user” also has a Principal Group, e.g. “guest.Group”. The application login principals are stored in the realm Default. The segment login principals for segment <segment name> are stored in the realm <segment name> (e.g. principals for the segment Standard are stored in the realm Standard). Each segment has a segment administrator principal (admin-<segment name>) (e.g. admin-Standard for the segment Standard). the realm Default acts as login realm; it contains all principals who are allowed to login to the openCRX application; PrincipalGroups in this realm are only used to configure Granted Roles by inheritance (in addition to configuring them directly in the appropriate grid). Each segment login principal has a home page in the corresponding segment (qualifier of principal and home page must match!). Each segment login principal is correlated with a contact. 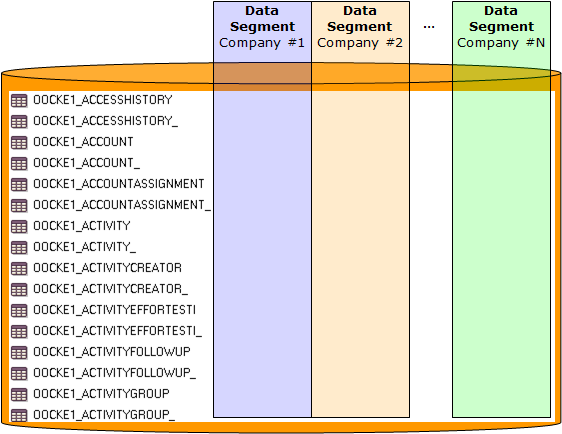 This correlation is for example required to find all activities and contracts assigned to the logged in principal. While each “real user” (typically) has 1 application login principal only, “real users” may have multiple segment login principals (e.g. because a “real user” is allowed to access multiple segments or because a “real user” is allowed to access a particular segment in different roles like Head of Sales or CFO). The openCRX security framework makes a clear distinction between Ownership Permissions (permissions granted on a particular object) and Model Permissions (permissions granted on a particular model element). As the latter are not implemented (yet) we only talk about Ownership Permissions in this guide. If you see N/A in a reference field instead of a more meaningful value the object cannot be retrieved (N/A stands for Not Available); maybe the object was deleted or the respective provider is not accessible/available. Owning User: this user "owns" object X; the Owning User can always browse/delete/update object X (unless the access level is set to 0 [in which case nobody has access – probably not a desirable situation]). Owning Groups: these groups might enjoy privileged treatment for browsing/deleting/updating object X depending on the relevant access level settings. 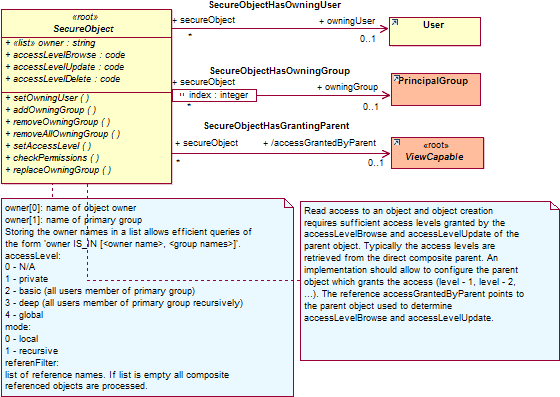 Access Granted by Parent: this attribute is set by configuration and refers to the parent object that grants access to object X.
Browse Access Level: this setting determines which users/user groups are granted browse access to direct composite objects of object X [i.e. who can view/inspect direct composite objects of object X (including all their attributes)]. It is a common misconception that browse access level of an object X controls browse access to this object X – please read the above definition carefully! Delete Access Level: this setting determines which users/user groups are granted delete access to object X and all its composite objects (recursively!) [i.e. who can delete object X and all its composite objects (recursively!)]. Update Access Level: this setting determines which users/user groups are granted update access to object X [i.e. who can change object X; this includes adding composite objects to object X]. The openCRX security provider manages all security data and provides access control services for all requests through the openCRX API. Hence, you can rely on openCRX access control even if you write you own clients or adapters for openCRX. Security (including Access Control) is not just an add-on, rather it is an integral part of openCRX; openCRX Access Control is always activated. The only “hardening” you might want to do is the one described in the following chapter: set browse access level to 3 for non-Root segments. Due to the setting access_level_browse = 4 (global) any user with access to a particular segment is allowed to browse top level objects (i.e. any user can browse all accounts, all activities, all documents, etc.). Segment security settings are loaded during the initialization of the openCRX servlet. Hence, if you change settings you must redeploy openCRX for the new settings to become active. Primary User Group of the user who is creating the object and (meaning as well as) Owning Group(s) of the parent object of the new object (except Users, see below). Please note that the User Group Users (e.g. Standard\\Users) is not added to the list of Owning Groups of newly created objects unless the creating user's Primary User Group is equal to Users. 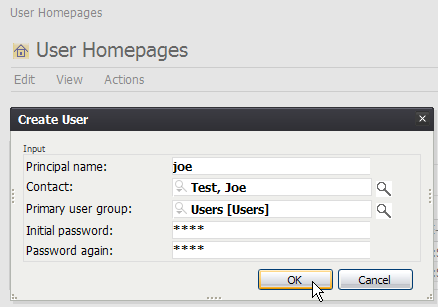 Please note that a User's Primary User Group is set by the segment administrator with the operation Create User . To change an existing user's primary group, the segment administrator simply executes the operation Create User again with a new parameter for primary user group. In the context of activity management there are various operations that set/change the Owning Groups of objects based on the settings of an assigned Activity Creator or assigned Activity Group and not based on the settings of the user who executes the operation. Please note that even though openCRX might be involved in managing some of the above-mentioned realms (e.g. DB-based realm) the Apache Tomcat / application server login is not really under control of openCRX. Many login problems are related to incomplete/faulty configuration settings of the servlet container. It is possible to deploy user-specific implementations of the DefaultRoleMapper so that you can adapt the segment login procedure to your requirements. Please refer to the chapter “Disable/Deactivate Users”. If you get the setting of Update Access Level wrong you may not be able to change the respective object from the GUI anymore (and that includes the security settings of that object!). For example, the only way to recover from setting Update Access Level to 0 – N/A for a particular object is to edit the data directly in the database! It is simply not possible to disable openCRX Security. If you (or one of your users) managed to screw up the security settings in a major way you might be forced to reset all security settings to a well-defined state. Not an easy task – and it typically involves a lot of manual work. Educate your users about openCRX security. You might also consider disabling some of the more powerful operations and/or security attributes in the default GUI. Read through the chapter Basic Concepts and Conventions (Security) before reading this chapter. It is quite helpful to have a good understanding of the terms Subject, Application Login Principal, Segment Login Principal, User, etc. before you start reading here. Depending on how you create a new user, some of the above steps might be taken care of by a wizard. If you want to have full control over the user creation process, however, then you can certainly create new users following the above instructions step by step. Have a look at Figure 1: Security Realms, Principals and Subjects after Initial Setup and Figure 2: Segment Administration to see how this all fits together. Creating large numbers of subjects/principals by hand can be quite a tedious job. If you prepare a text file containing the appropriate information in the file format as outlined below, the Root administrator (admin-Root) can use the operation Actions > Import Login Principals to create Subjects and Application Login Principals automatically. Similarly to importing Subjects and Application Login Principals from a file you can also import Users from a file. If you prepare a text file containing the appropriate information in the file format as outlined below, the Segment administrator (admin-<SegmentName>) can use the operation Actions > Import Users to create Users automatically. Please note that <password> is a clear-text value. The optional parameter group can be used to make the Segment Login Principal member of the respective Principal Groups of that segment. Contacts are not created automatically; existing Contacts are first search by <account alias>. If no matching account alias is found, Contacts are search by <account full name>. If still no matching account is found, the UserHome is not created. Users are only imported/created if the referenced Principals exist. There are various ways of disabling/deactivating users. To fully understand your options it is helpful if you are familiar with the openCRX Login Procedure. Depending on the configuration of your application server you can disable users at that level. For example, if you rely on file-based realms, you can simply remove users from the file tomcat-users.xml (with Apache Tomcat) or users.properties (with JBoss) to prevent access to openCRX. If you block access at the level Tomcat / application server such users are locked out from accessing any application and any openCRX segment. However, as the Tomcat/ application server Login procedure is not entirely controlled by openCRX you might have to consult the documentation of your respective application server or ask your application server administrator for details. The segment administrator (e.g. 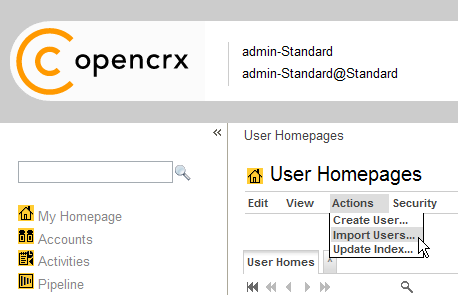 admin-Standard) can prevent a user from accessing a particular openCRX segment by either disabling the respective Segment Login Principal or by deleting it altogether. Disabling is the preferred option to prevent access temporarily. 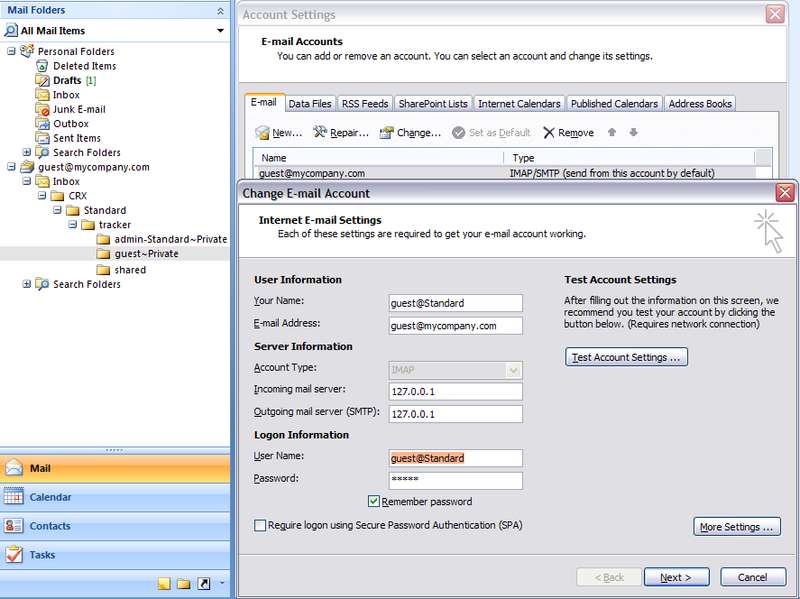 If a user has multiple Segment Login Principals you must disable all of them to prevent access to the openCRX application. You should not delete a particular Subject as long as it is referenced by any Principal. Otherwise you'll end up with “dangling” Subject references. openCRX supports a multitude of deployment scenarios. The open source MDA platform openMDX supports a multitude of deployment scenarios and persistency configurations. The most common multi entity deployment scenarios are discussed in the following sections. The setup “Multiple Data Segments in a single DB” provides adequate security for many use cases and is relatively easy to manage. As all the data is stored in a single database, however, security configuration mistakes (e.g. principals linked to the wrong subject, etc.) might lead to situations where a user is granted access to the data of a particular company/client that should not be accessible (please note that human error is the real root cause here, not a malfunction of openCRX). Furthermore, this setup is not recommended if users can get direct access to the database, e.g. with third party reporting tools as those tools typically bypass the openCRX API. Detailed instructions on how you can create and configure new segments are provided in the openCRX QuickStart guide. With the Workflow Controller the openCRX Root administrator (admin-Root) can enable/disable various servlets (configured in web.xml) included in the openCRX distribution. This chapter gives an overview over the currently available servlets and explains how to start/stop them. You should connect to the Workflow Controller with http. If you use SSL-secured connections to start/stop servlets you must ensure that your server's certificate is available in cacerts. Please note that access is granted to the openCRX Root administrator (admin-Root) only. 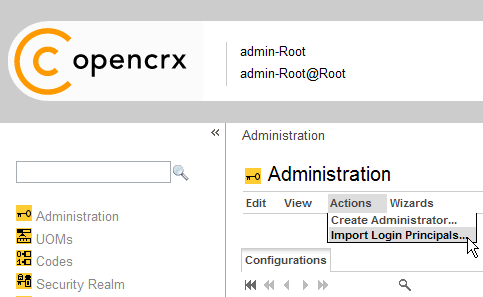 Hence, if you see the openCRX login screen instead of the Workflow Controller you must first login as Root administrator. Also, ensure that openCRX is properly initialized before you connect to the Workflow Controller. You can manually start (stop) servlets that are managed by the Workflow Controller by clicking on “Turn On” (“Turn Off”). Please note that you can control servlets on a segment by segment basis. For example, if you created a segment “OtherSegment” in addition to the segment “Standard” you can start/stop servlets of the segment “OtherSegment” without interfering with the servlets of the segment “Standard”. With the value of load-on-startup (10 above) you can control the order of starting up servlets in case there is more than one servlet. The openCRX IndexerServlet updates index entries (used for keyword/index based search introduced with openCRX v2) by indexing all objects which do not have an IndexEntry newer than the modification date of the object. The IndexerServlet creates an index by invoking the operation updateIndex() on the object to be indexed. Please note that indexing can put some heavy load on your database server. Hence, you might consider turning off (or at least lowering the frequency of calling) the IndexerServlet during busy hours. If you are looking for a way to define advanced schedules for calling the openCRX indexer you might consider cURL in combination with a scheduler provided by your operating system (e.g. Scheduled Tasks on Windows, cron on Linux). The openCRX SubscriptionHandler is the backbone of the openCRX Subscribe / Notify Services. The Subscription Handler does not require any configuration by the openCRX administrator other than setting the pingrate and autostart options, i.e. it is designed to work “out of the box”. Turning on the SubscriptionHandler of a particular segment is required if you want that segment to provide Alerts and E-mail Notifications to its Users. The polling frequency can be set by the Root administrator (see Figure 23: Workflow Controller Configuration – pingrate and autostart). The SubscriptionHandler checks openCRX audit entries on a regular basis and – if matching Subscriptions exist – executes the Workflow Process referenced by the Subscription using Userhome.executeWorkflow(). Userhome.executeWorkflow() – implemented by the openCRX plugin – creates an entry in Userhome.wfProcessInstance (accessible through the grid Workflow Process Instances). Synchronous workflows are executed immediately, asynchronous workflows are left alone (the Servlet WorkflowHandler is specialized in dealing with asynchronous workflows – see below for details). The execution frequency can be set by the Root administrator (see Figure 23: Workflow Controller Configuration – pingrate and autostart). Please note that the WorkflowHandler is required for outbound E-Mail Services. The WorkflowHandler executes Workflow Process Instances that have not been executed yet. All WfProcesses with undefined/unknown runtime length should be defined as asynchronous. This is particularly true for WfProcesses that might block. The default setup ensures that blocking WfProcesses cannot block openCRX. openCRX Exceptions (like NullPointers, etc. ), however, are still logged to the application log file as configured during the installation (see QuickStart guide). It is always worth checking whether the Workflow Handlers actually are active; they must be started by the Root administrator. You can find out by connecting to the Workflow Controller (see Figure 19: openCRX 2.2 Workflow Controller). After restarting the application server all servlets managed by the WorkflowController are inactive, i.e. the Root Administrator must explicitly turn them on again (if desired) unless the respective servlet's autostart option is set to true in the WorkflowController's configuration and the WorkflowController's Startup option is set to true in the file web.xml. The servlets do not automatically resume the state they were in before the application server was shut down. Once a topic is created, openCRX users can subscribe to it. Users manage their subscriptions individually on their UserHomes (with the Wizard UserSettings or by editing their subscriptions manually). If a topic has subscribed users and a monitored event occurs then the predefined actions are performed. If the action is set to – for example – creating an alert for subscribed users, then each subscribed user will receive an alert on the UserHome. Please note that event and notification services depend on the Servlet SubscriptionHandler, i.e. 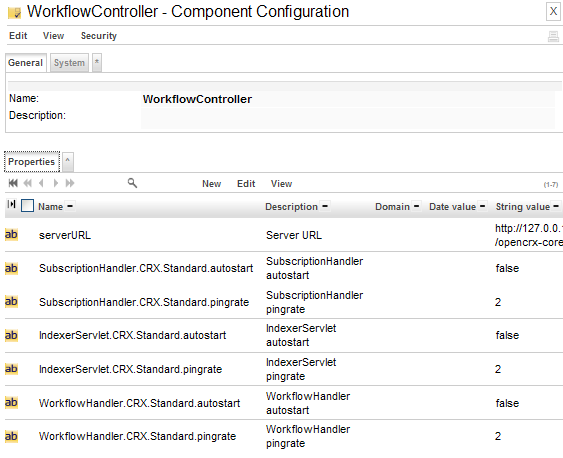 you must turn on the openCRX Subscription Handler for the respective segment with the Workflow Controller, otherwise Topic Actions are not executed, i.e. no Alerts will be created and E mail Notifications will not be delivered. Furthermore, as outbound E-Mail Services depend on the WorkflowHandler, you must activate the Workflow Handler to receive E-Mail Notifications. Topic Account modification alert sends an alert to the UserHome of subscribed users whenever an account is modified. 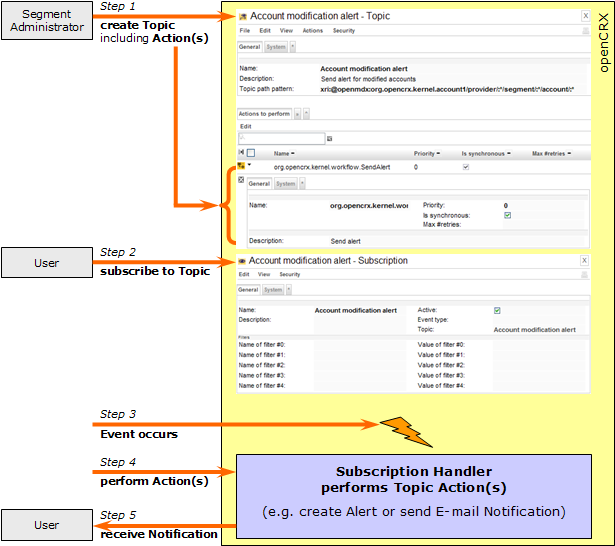 Topic Activity follow-up modification alert sends an alert to the UserHome of subscribed users whenever a Follow Up of an Activity is modified. Topic Mail notification for new alerts sends an e-mail notification to subscribed users – assuming outbound e-mail services are configured correctly – whenever an Alert is created/modified. Please note that newly created Segments do neither contain Workflow Processes nor Topics (i.e. the respective grids are empty). Both Workflow Processes and Topics can be created by the segment administrator with the wizard Segment Setup. Users can easily custom-tailor their subscriptions with filters and by selecting event types like Object Creation, Object Replacement, and Object Removal. 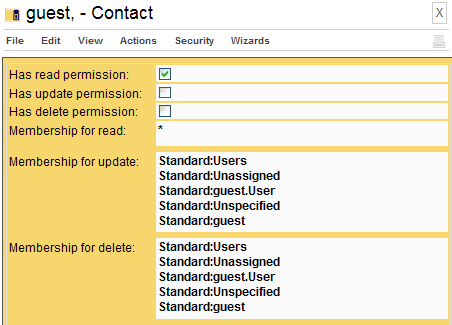 In this example we will create a subscription to the standard Topic Account Modifications for the user “guest”. Click Apply to store your settings. Please note that the Root administrator must start the Subscription Handler – otherwise you will not get any Alerts/Notifications. Multiple values of a named filter are combined with OR. 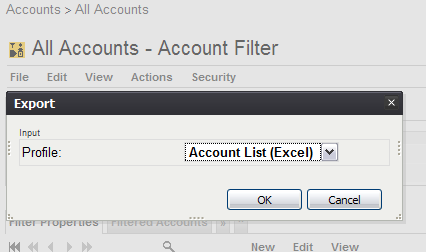 Multiple named filters are combined with AND. The grids Workflow Processes and/or Topics are empty. Please note that we have no intention to duplicate mail server (MTA) or mail client functionality in openCRX as there are lots of excellent products available (Open Source and commercial). It is our goal, however, that openCRX integrates with all the major products that adhere to the major standards and support standard protocols like SMTP, POP3, IMAP, etc. This ensures that you can continue to use your favorite mail server (Postfix, qmail, etc.) and your favorite mail client (Thunderbird, Outlook, etc.). Installation of JavaMail is required if you want to make use of E-mail Services. Deployment of openCRX Groupware Services is required if you want to use the IMAP Adapter. In this chapter we will first guide you through the required installation and configuration steps before we discuss various important use cases. The following chapters explain how to install JavaMail and how to configure the Java mail service and various in- and outbound E mail services. Please note that outbound E-Mail Services depend on the Servlet WorkflowHandler of the respective segment being turned on. Verify that you put the files into the above-mentioned directory, which is not an openCRX installation directory! The following instructions are dependent on your deployment scenario as the steps for creating mail resources vary from application server to application server. We provide instructions for Apache Tomcat and JBoss. <!-- Wizards, Workflows (e.g. MailWorkflow), etc. can use mail resources. Restart Tomcat for these changes to become active. 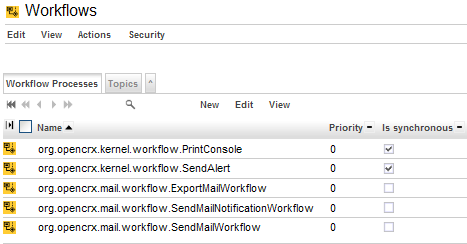 If you leave the debug option set to true you will get helpful information about all the activities of the Mail Service on the console and/or in the respective log file including connection attempts, messages in the INBOX, etc. Restart the application server for these changes to become active. Click on My Homepage and select the grid Tab E-Mail. If a user does not define the name of the mail service in his E-Mail Account settings the default name /mail/provider/<provider>/segment/<segment> is used; if there is no resource with this name the fallback name /mail/provider/<provider> is used (and if this name does not exist either, then an error is logged). E-mail subject prefix: enter a string that might help you identify or filter e-mails from your openCRX server (optional, i.e. you can also leave this empty) – the entered string is prepended to the subject line of generated e-mails. Web access URL: enter the URL of the openCRX instance at hand; if entered correctly, generated e-mails will contain URLs that allow you to connect to your openCRX server with a single click. the grid Action Log Entries contains the message body of the e-mail that was sent or an error message if the workflow failed (please note that even if you see a "timeout" error message the e-mail might have been sent; timeouts are typically caused by e-mail servers with high latency – try sending out notifications through a mail server that is responsive). Please refer to chapter 9.3 Mailstore / IMAP. Please note that the transition “Send as mail” is only available after the Transition “Assign” has been executed. Media attached to E-Mail Activities are sent as e-mail attachments. Please note that the transition “Export as mail attachment” is only available after the Transition “Assign” has been executed. Exported messages are sent as attachments to the user's default mail address. See Outbound E-mail Configuration for details. Example: if the domain address of an e-mail activity is set to the email address noreply@fax-gateway.opencrx.org, the the phone number +41 (44) 111-2233 is converted to the email address _41441112233@fax-gateway.opencrx.org. This conversion feature allows you to mix e-mail addresses and phone numbers in member lists of address groups. Depending on the recipient's type of addresss the SendMailWorkflow will either send an e-mail to the listed e mail address as is (e-mail address) or first convert the recipient's phone number to an e-mail address so that the resulting e-mail can be handled by your fax-/sms-gateway. It seems that JavaMail sometimes does not (even try to) establish a TLS session when connecting to a mail server (smtp) if the certificate of the mail server has not been imported into the keystore. If the mail server requires TLS for authentication (e.g. SASL) and authentication is required to relay messages such failure to establish a TLS session will prevent openCRX from properly sending outbound mail. If you intend to use TLS/SSL to secure the connection to the outbound e-mail server (smtp) we recommend you import the mail server certificate into the keystore. Replace <dom> with the domain of the mail server (e.g. mail.company.com) and <name> with the name of the certificate file. Please note that LDAP services are only available if openCRX Groupware (opencrx-groupware-CRX.ear) is deployed. It is not sufficient to deploy openCRX Core only. Examples: localhost, 127.0.0.1, myCrxServer.myCompany.com, etc. Please note that LDAP services are only available if openCRX Groupware (opencrx-groupware-CRX.ear) is deployed. 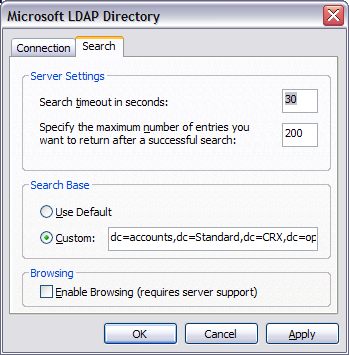 The openCRX Directory Service / LDAP supports SSL. Hence, if your LDAP client supports SSL (Thunderbird does, MS Outlook does not), you can enable SSL for increased privacy/protection. Look for the entry ds-cfg-listen-port. If you build your own EARs you can change the openCRX LDAP port in your project's file build.properties (ldap.listenPort) or directly in your build.xml. So, in the context of calendaring it helps if you think of a calendar as a set of activities, nothing more and nothing less. For the purpose of this guide we will work with a tracker called “shared”. This wizard constructs a complete URL including a calendar selector. Hence, this wizard can be very useful whenever you need to construct a calendar selector. For example, the calendar selector for activities shown on the homepage of the user guest, i.e. For the purpose of this guide this activity is also assigned to the tracker “shared”. In various of this guide's examples we will make use of these facts by using the Calendar Selectors CRX/Standard/userhome/guest and CRX/Standard/tracker/shared. Please note that free busy information is provided by the openCRX server in a read-only fashion (i.e. free busy clients cannot update such information). See http://support.microsoft.com/kb/291621. Please note that Outlook does not support SSL with free busy. iCalendar is implemented/supported by a large number of products (see RFC 2445 or Wikipedia for information about the iCalendar standard, sometimes referred to as “iCal”). 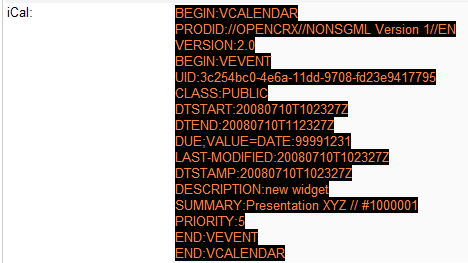 openCRX can derive iCalendar information on-the-fly from the respective activities. iCal clients must authenticate to read and/or write iCalendar data. See chapter 9.2.2 Calendar Selectors for information on how to construct calendaring URLs. Please note that calendars marked as “R” (read only) in the table provided in chapter 9.2.2 Calendar Selectors are indeed read only, i.e. it is not possible to create new events/tasks with external ICS clients. Without a well-defined ActivityCreator being associated with the respective calendar selector it is simply not possible to create an activity and assign it the the appropriate activity groups. Version 0.8 of Thunderbird/Lightning and Sunbird requires a life connection to openCRX (i.e. no support for offline viewing/editing) unless you enable the experimental Cache of Ligthning/Sunbird. Assuming you have a remote calendar CAL with the URL <U> defined in your ICS client, define a new remote calendar CAL-trash with the URL <U>&disabled=true (i.e. append the string “&disabled=true” to the URL); the name of the calendar is not important, we just call it “CAL-trash” to indicate that it contains disabled activities. Of course, you can also disable events with the standard GUI. 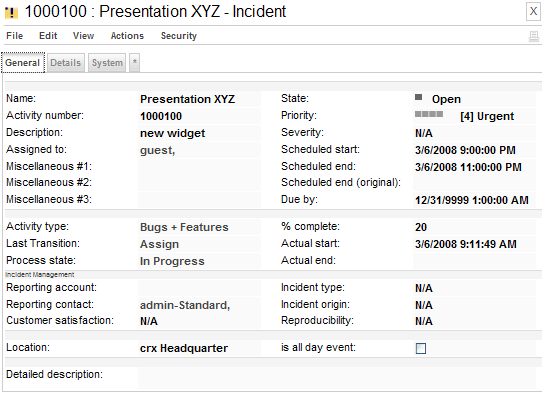 The openCRX ICS Adapter supports the creation of new events/tasks as long as a calendar's Guard Event is posted to the adapter together with the new event/task. The openCRX ICS Adapter also verifies the UID of the Guard Event. In a nutshell this means that you can use any IMAP client to connect to openCRX and view openCRX EMailActivities. 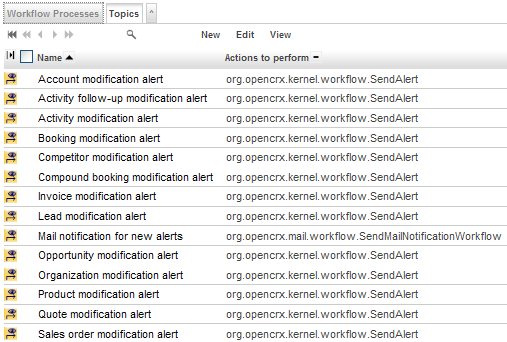 openCRX activity groups are mapped to IMAP folders. The folders contain openCRX EMailActivities. Viewing/exporting of EmailActivities is always possible, creating/updating of EmailActivities requires that an E-Mail Activity Creator is defined for the respective Activity Group, and deleting of EmailActivities is not supported. If you move an e-mail message from a non-openCRX IMAP folder to an openCRX IMAP folder and the target folder does not have a valid E-Mail Activity Creator defined, openCRX will not be able to create an EMailActivitiy in that folder. Due to the move operation the message is deleted from the source folder and your e mail message is lost. Hence, it is good practice to copy (and not move) e-mails to openCRX IMAP folders. Only after verifying that the EMailActivitiy was actually created in the target folder should you delete (if necessary) the message from the source folder. E-mail addresses should be unique! If you import e-mails into openCRX with the IMAP Adapter, openCRX tries to match sender and recipients based on e-mail addresses. For obvious reasons, this will produce unexpected (if not undesired) results if e-mail addresses in openCRX are not unique. In order to detect missing e-mail addresses (and then enter them and reassign the respective e-mail activities) you can simply work through the activities assigned to the account with the above e-mail address. The openCRX IMAP adapter does not support SSL, i.e. you should use this feature on secured networks only (Intranet, VPN, ...). Look for the the param-name port. If you build your own EARs you can change the openCRX LDAP port in your project's file build.properties (imap.listenPort) or directly in your build.xml. For increased performance the openCRX IMAP Adapter works with a cache. The location of this cache, the so-called Maildir, can be set as a JAVA_OPTS. You can reset the cache by deleting it. The openCRX IMAP Adapter will recreate the cache automatically. Hence, you might want to delete the cache when restarting Apache Tomcat or JBoss. Adapt D:\jboss-4.2.1.GA\server\default\maildir to your environment and make sure that there are no line breaks in the set commands. Each -D options is of the form -Dname=value and must be on a single line. If you move an e-mail message from a non-openCRX IMAP folder to an openCRX IMAP folder and the target folder does not have a valid E-Mail Activity Creator defined, openCRX will not be able to create an EMailActivitiy in that folder. Due to the move operation the message is deleted from the source folder in your IMAP client and your e-mail message will be lost. If you move an e-mail message from a non-openCRX IMAP folder to an openCRX IMAP folder and the target folder does not have a valid E-Mail Activity Creator defined, openCRX will not be able to create an EMailActivitiy in that folder. Due to the move operation the message is deleted from the source folder of your IMAP client and your e-mail message will be lost. In this chapter we will cover some of the basic options you can choose from, but there are obviously other (and sometimes better) options to consider. While it may be tempting to connect to the openCRX database for “quick and dirty” imports/exports, you should really consider using the openCRX API. On the one hand, importers/exporters accessing the database directly are bypassing openCRX security (this is actually more of a warning than a tip...). On the other hand, the openCRX database schema is subject to change (whereas the API is stable). The task of importing data is handled by importers. In principle, you can import almost anything into openCRX, it’s really only a matter of writing an appropriate importer. You must ensure that (legal) values are assigned to all mandatory (i.e. non-optional) attributes of openCRX objects created/updated during the import; in particular, all code attributes are mandatory! The Open Source distribution of openCRX includes importers for vCard (see Importing vCard Files)and iCalendar files (see ) in addition to the XML importer. You can import virtually any data into openCRX as long as you provide it in the form of schema-compliant XML files. The openCRX schema files can be found in the file opencrx-kernel.jar (unzip and look for xmi subdirectories). Alternatively, you can export example objects as XML files and look at the produced XML files (although the generated XML file also contains all the derived and optional attributes; hence, you will have to prune the generated XML file before you can use it as a template). Some of the configuration information and data provided with openCRX are also provided in the form of XML files and imported during system setup (e.g. units of measurement are loaded from opencrx-core-CRX.ear\opencrx-core-CRX.war\WEB-INF\config\data\ Root\uom_SI_and_Paper.xml). Click on the button and navigate to XML file to be imported. Next you click OK to to start the import. Please note that this method is very suitable for small XML files and on-the-fly imports. If you are dealing with larger XML files, however, you should consider the bulk import described below. where <SegmentName> can be Root, Standard, or whatever your Segment is named. Next you login as openCRX Root administrator (admin-Root) and execute the operation View > Reload. Click Yes to start the operation. Once the import is started you can close the browser, i.e. there is no need to keep the session alive until the import is completed. Some information regarding the progress of the import is written to the console. In case you have data dependencies between/among your XML files (e.g. some files contain Contact data while others contain address data which is composite to Contact data) you should make sure that parent data are imported before child data gets imported. This should be relatively easy to achieve as XML files are imported in alphabetical order. vCard is file format standard for personal data interchange, specifically electronic business cards (additional information is for example available from http://en.wikipedia.org/wiki/VCard). Please refer to the Chapter 8 E-mail Services, in particular chapter 8.3.1 Import E-mails. There are various other options to consider. You could for example develop a custom-tailored JSP Wizard to import data on demand or on a regular basis (e.g. controlled by the openCRX WorkflowController). Sometimes it is more appropriate to develop a specific openCRX client to handle imports, and in a typical enterprise class environment you will probably consider developing adapters to connect/integrate openCRX with 3rd party systems on a real-time basis. The task of exporting data is handled by exporters. The Open Source distribution of openCRX includes exporters for vCard and iCalendar files in addition to the XML exporter. This allows you to export contacts and meetings/sales visits or any other object from openCRX. vCard and iCalendar files can be imported by a large variety of other applications, including Microsoft Outlook. This chapter shows how to export data. In order to better control which additional objects (composites, referenced objects, ...) the XLM exporter should export together with the object loaded in the Inspector, you can (optionally) provide a reference filter. By default, only the current object will be exported. If you provide – for example when exporting a sales order – customer;address as a reference filter, the customer and all referenced addresses will be exported together with the main object. In order to better control which additional objects (composites, referenced objects, ...) the XLM exporter should export together with the object loaded in the Inspector, you can (optionally) provide a reference filter. By default, only the current object will be exported. If you provide – for example – :*/:* as a reference filter, all composites up to 2 levels deep will be exported together with the main object (this should be sufficient for most use cases). You can also provide a reference filter to dereference and export referenced objects like the customer or the salesRep of a sales order. Based on such spreadsheet files end-users can easily create reports or do some ad-hoc data analysis without the need to know anything about Java or writing JSPs. The standard distribution of openCRX includes various example reports based on this technology. Please note that this wizard requires that Internet Explorer and MS Outlook are both installed on your computer (the export invokes an ActiveX control). With other browsers you might consider exporting contacts to MS Outlook by using vCards. Please refer to the Chapter 8 E-mail Services, in particular chapter 8.2.2 Export E-mails. There are various other options to consider. You could for example develop a custom-tailored JSP Wizard to export data on demand or on a regular basis (e.g. controlled by the openCRX WorkflowController). Sometimes it is more appropriate to develop a specific openCRX client to handle exports, and in a typical enterprise class environment you will probably consider developing adapters to connect/integrate openCRX with 3rd party systems on a real-time basis. Please refer to the guides available at http://www.opencrx.org/documents.htm for detailed information regarding UI customization and localization. The default installation of openCRX activates all locales that are included in the Open Source distribution. The openCRX administrator may wish to deactivate certain locales from the locale list. This chapter shows how you can achieve this. You can deactivate locales by simply commenting them out. The following example shows how to deactivate the locale de_CH. Please note that you must not deactivate the base locale (that is the locale with the id 0, typically en_US) as the base locale contains a lot of customizing information not present in other locales. The default installation of openCRX activates all packages that are included in the Open Source distribution. The openCRX administrator may wish to deactivate certain packages if they are not used. This chapter shows how you can achieve this. Please note that you must renumber all the packages listed after the package you deactivated so that the package numbering does not have any gaps (i.e. package numbering starts at 0 and it must be consecutive). It is also possible to change the order of the active packages by renumbering them. However, you must still ensure both that the numbering starts at 0 and that the numbering is consecutive. Please note that entries corresponding to packages disabled by the openCRX administrator cannot be enabled with this wizard. Packages disabled in web.xml are not available at all! Depending on the width of your screen you can adjust the number of items shown as tabs in the top-level navigation in the same wizard (fewer items for narrow screens, more items for wider screens). Requires Model Permissions (which are not implemented yet). The same goal can easily be achieved with multiple web applications, however. Model permissions are not implemented yet. This layout JSP renders all pages that show information (typically an Inspector containing information about the current object and all the grids containing associated information). This layout JSP is generic (it is provided by openMDX/portal) and it can handle any object. 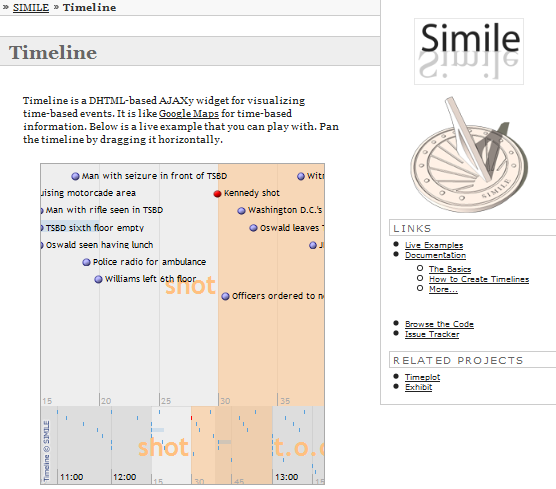 Similarly, this layout JSP renders all pages that are used to edit objects. If you have a need for specialized screens for a particular object in edit and/or show mode, you can write your own layout JSP and deploy it to the above-mentioned directory. The file name of your custom layout JSP determines which objects (or rather: objects of which class) will be handled by your custom layout JSP. and deploy it to the directory ...\WEB-INF\config\layout\en_US. After restarting Tomcat or your application server your new layout JSP will be active. If you develop localized JSPs you can create new directories for the respective locales and then deploy your localized JSPs there. The fallback algorithms are comparable to those in ui customization. openCRX provides various technologies that enable you to easily integrate common office suites like Open Office or Microsoft Office. 12.1 MS Word, OO Writer, etc. openCRX supports the JSP-wizard-based generation of RTF documents. You can generate RTF documents from scratch or merge data with existing RTF templates. The RTF documents are generated on the fly and can be opened with any RTF-compatible word processor including OpenOffice Writer and MS Word. With this approach it is quite easy to generate all kinds of documents, including letters, invoices, purchase orders, etc. 12.2 MS Excel, OO Calc, etc. openCRX supports both a raw spreadsheet export of data and the JSP-wizard-based generation of XLS documents. You can generate XLS documents from scratch or merge data with existing XLS templates. The XLS documents are generated on the fly and can be opened with any XLS-compatible spreadsheet program including OpenOffice Calc and MS Excel. 12.3 MS Outlook, Thunderbird/Lightning, Sunbird, etc. See chapter 9 Groupware Services. openCRX provides various technologies that enable you to create reports of a wide variety, anything from simple ad-hoc reports to large scale bulk reports. See chapter 10.3.2 Exporting Data to MS Excel / OO Calc Files. Standard office suite know how (and maybe a bit of macro programming) should get you a long way. Once you're ready to “institutionalize” a report you can prepare a template and an openCRX Export Profile. Consult the templates and the Export Profiles provided by the opeCRX distribution for examples. If your task is to produce a large number of reports (e.g. monthly reporting for all your clients) or reports based on large amounts of data, spreadsheet-based reporting is probably not the way to go. Maybe you want to generate reports in a format other than XLS. On the one hand, openCRX already includes libraries to generate reports and documents in various formats, on the other hand you can easily add additional libraries to openCRX. Large-scale batch reporting can be done with a Java Program (basically an openCRX client programmed in Java that prepares the desired reports). If you plan to use a BI-Reporting Suite (e.g. Crystal Reports, Pentaho, BIRT, etc. ), you should keep in mind that directly accessing the openCRX database is not a very good idea. We strongly recommend you either retrieve data through the openCRX API or set up a dedicated reporting DB (the process to populate such a reporting DB should retrieve data from the openCRX DB through the openCRX API). 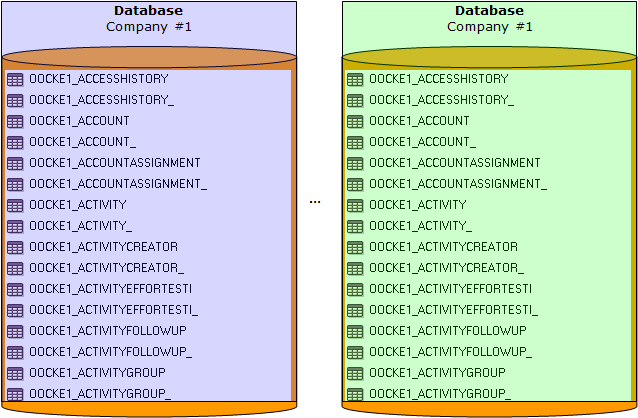 The reason for not accessing the openCRX database directly is the following one: while the openCRX API is stable, the OO-to-relational mapping is not and hence the schema of the openCRX DB is subject to change over time. Hence, if you access the openCRX DB directly you will have to adapt your reports if the DB schema changes, a potentially expensive proposition. The SNMP agent for the Sun JVM can be enabled as described at http://java.sun.com/j2se/1.5.0/docs/guide/management/SNMP.html and http://www.ilikespam.com/blog/monitoring-the-jvm-with-snmp. Put snmp.acl in TOMCAT_LWC_HOME/bin and give read access to the file for the owner only. #The communities public and private are allowed access from the local host. snmpwalk -c public -v2c localhost:8161 .1.3.6.1.4.1.42.2.145.3.163.1.1.4.1. See http://support.ipmonitor.com/mibs/JVM-MANAGEMENT-MIB/oids.aspx for a list of all OIDs supported by the JVM. 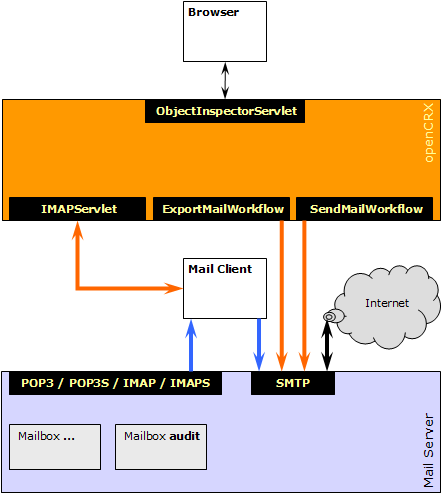 A simple cron-based monitoring environment can invoke snmpwalk periodically and send mail if a monitored parameter violates a predefined constraint. Use gkrellm with the snmp extension (see http://triq.net/gkrellm_snmp.html) or OpenNMS (see http://www.opennms.org/) for more advanced monitoring solutions. You might want to have a look at some of the additional documentation published at http://www.opencrx.org/documents.htm. Copyright 2008 © CRIXP Corp. All rights reserved.